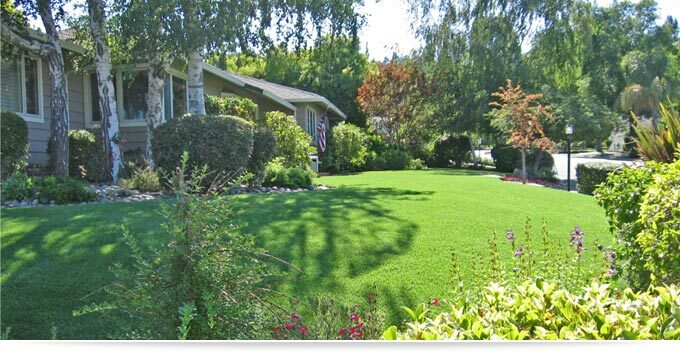 Picture a beautiful, lush, year-round green lawn that is virtually maintenance-free. By choosing synthetic grass through Artificial Lawns Direct, you and your family will be freeing up your weekends for more family time. The possibilities are endless…how about a putting green, volleyball or bocce ball court, or play yard? Our many choices of synthetic turf have the look and feel of natural grass, with the benefits of being less expensive over time, non-toxic, and environmentally friendly, saving money, H20, time, and our environment. Our synthetic turf is family and pet friendly. Our Mission: To provide and install the most realistic synthetic grass at the best price for our customers, employing our ethics of honesty, integrity, and hard work, while protecting and preserving the environment. It’s just like a real grass putting green, but without the maintenance! Imagine practicing your putt in your own backyard, any time. Be the envy of your neighborhood, while saving time, money, and most of all, water! Artificial Lawns Direct is your residential lawn specialist. 13 years of experience, competitive pricing, and free estimates & design consulting are a few of the reasons to choose Artificial Lawns Direct. Alameda, Aptos, Berkeley, Burlingame, Campbell, Capitola, Carmel, Daly City, Fremont, Gilroy, Half Moon Bay, Hayward, Livermore, Los Altos, Los Gatos, Menlo Park, Milpitas, Monterey, Morgan Hill, Mountain View, Oakland, Pacific Grove, Pacifica, Palo Alto, Pebble Beach, Pleasanton, Portola Valley, Redwood City, San Carlos, San Jose, San Leandro, San Mateo, San Ramon, Santa Clara, Santa Cruz, Saratoga, Scotts Valley/ Seaside, Soquel, Sunnyvale, Walnut Creek, and Watsonville.